The new trailer for Battle Chasers: Nightwar from Airship Syndicate and THQ Nordic is here! 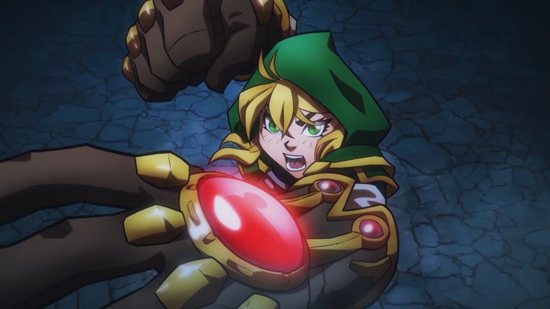 In this animated short by Powerhouse Animation (the studio behind the hit Castlevania series on Netflix), fans of the Battle Chasers franchise will witness the action-packed debut of an all-new hero: Alumon the Devil Hunter. Once a member of a sacred order of monster hunters, Alumon was banished from the order and now operates alone as bounty hunter, taking contracts and doing odd jobs for money, from exorcisms and assassinations if the job requires it (and sometimes even if it doesn’t). Though Alumon possesses the traditional magic and light-based abilities of the Battle Priests of his order, he has taken his study of the dark arts further than most. Many of his spells and abilities call upon dark magic, often bringing harm to himself or others. Meddling with these dark powers has physically changed Alumon, so he is easily recognized by his frost white hair and serpent-like eyes. For that reason, Alumon usually wears a mask.